Caught between eastern and western Europe, Budapest has a character uniquely its own. It’s also the last cheap, civilised city in Europe. 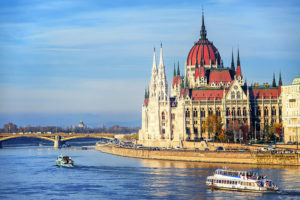 Budapest can seem like one big sight, with each phase in its history, from the Ottoman period until the Communist days and from renaissance to revolution, leaving its mark on the city. For the tourist, a trip to Hungary’s capital is dominated by the majestic sights of Buda. In the summer, there are open-air festivals at Szeged, Diosgyor Castle in Miskolc, Gyor and Pecs. Visit the former Royal Palace complex, the Matyas templom and the Belvaros. Margaret Island is a giant recreational park and feels pleasantly separated from the city bustle. Hungarian National Gallery houses Hungarian art since the birth of the nation. 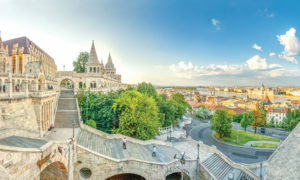 Although Esztergom is Hungary’s most sacred city, home of the Archbishop and the nation’s biggest church, it has a real-life edge. The first-time visitor to Szeged is invariably struck by its space and grandeur. One’s immediate impressions of Hungary’s third largest provincial city are of greenery and plazas, of broad.